A disclaimer from the back cover: We recommend you do not try the flame bit on the pole... this is for real experts or drunks that live near a firehouse. If your local department store doesn't have a set of Limbo poles in stock, make your own. 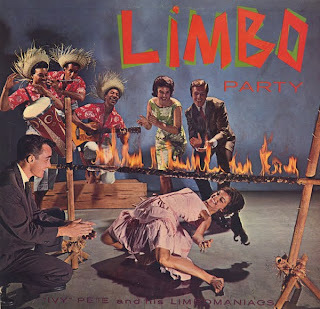 From Billboard - November 17, 1962: The Limbo is all the rage as the dance of the moment and both kids and adults have taken to it. 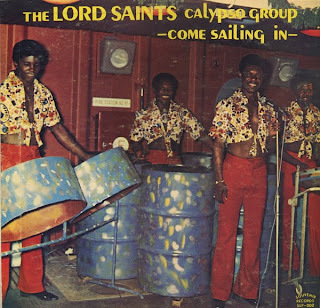 Here's a calypso group which plays a flock of familiar items in this genre, all with basically the same beat. You can limbo to them all. 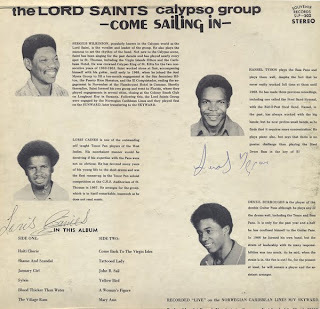 At the same time, non-dancing fans who simply like calypso will find this combo to their liking. 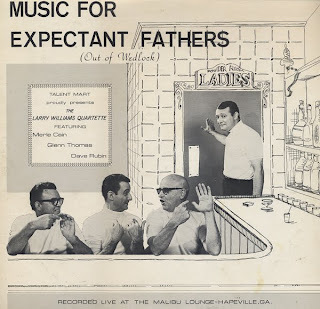 The well-known (for the most part) repertoire includes "Jamaica Farewell," "Sly Mongoose," "Mary Add" and "Man Smart, Woman Smarter." Can be a steady rack item, while the craze holds on. Exercise material is alway great, because the material relies so heavily on pop culture gimmicks. The material has a shelf live of about two days and then it becomes something to poke fun at. Hey... I'm all for exercise... no matter what you use to clean your floors with! London Records LL 3016 196? Terrific visual interpretation of the music. 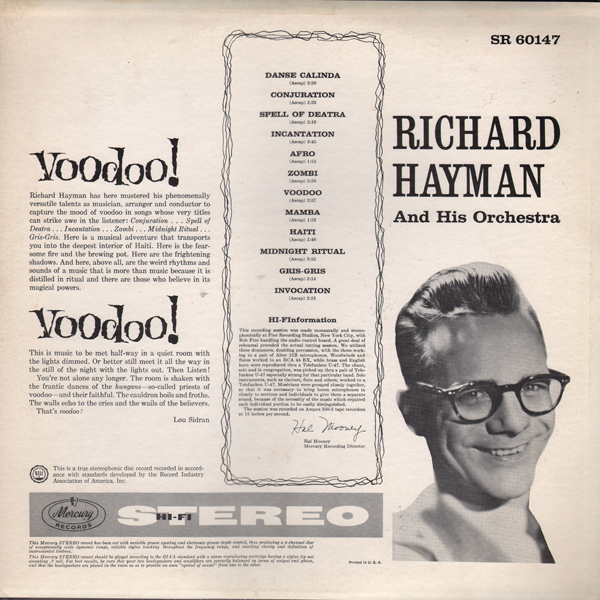 Out of all the Hayman albums I've collected this LP is the standout. This project is adventurous, experimental and holds together nicely as a concept piece. 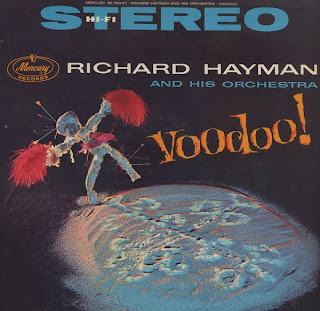 Hayman delivers excellent exotica/space age music that stacks up against other recordings on the market at the time. 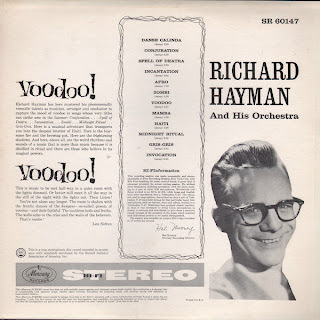 I wonder what the sales figures were for this album, because as far as I can determine Hayman seems to have followed a more conservative musical path following this release. Here's an interesting reissue on a budget label. 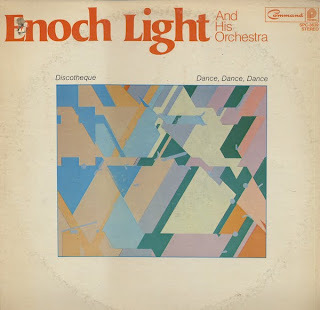 I can't find this record on the two Light online discographies. The cover is a cheap and awful attempt to recapture the great look and feel of jacket art that was Light's Command label produced. 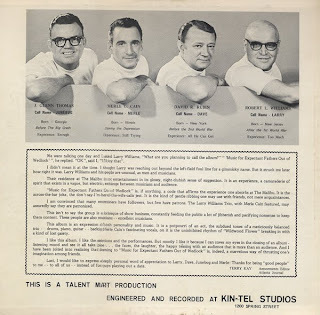 And what is more interesting is why would Pickwick think that they could get away with reissuing an LP produced in 1964, marketing the album like it was a 1970s disco recording? Excellent 10 inch long play with a wonderful graphic cover. Not much if any thing could be found online at this time about Juan Vicari. Great cheesecake cover on the outside and cheesy sounding pop on the inside. 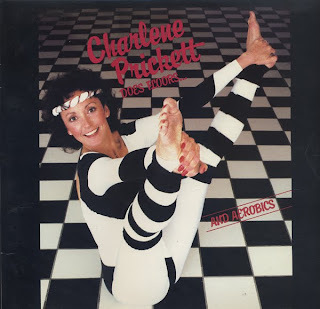 Terrific cover image (I think there was a later pressing of this album with a different cover). I could see having a few drinks in the lounge while this grouped knocked out a set or two. Studio City, CA (Studio: Kojimachi, Toyko) 196? 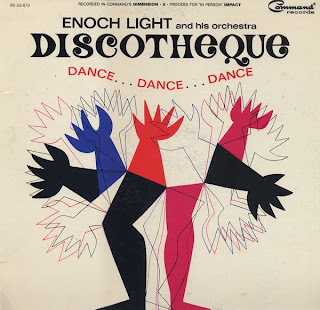 Almost totally obscure exotic flavored LP with an accordion twist. 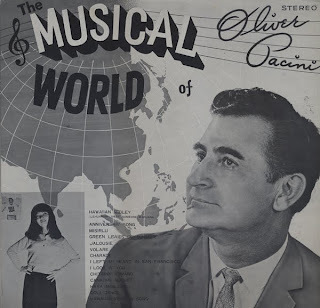 I can find only one reference to Pacini online and that is that he played gigs in San Francisco and that people enjoyed his "sing-alongs". Terrific and strange cover art by Takeshi Futami. Photo by Mainland Studio, Hong Kong. There is a tiny image next to the model in the lower left hand corner. It looks like another album cover with an image of Pacini on it. You have to use a magnifying glass to see it. Strange indeed. There is a credit on the back for the model: Etsuko Pacini (Oliver's wife?). Many of the credits are Japanese. One of the projects arrangers is, Goh Misawa. Oliver credits himself in the jacket notes for doing gigs all over including Japan, Taiwan and the Phillippines. The last track is oddly out of place on the LP (no accordion). 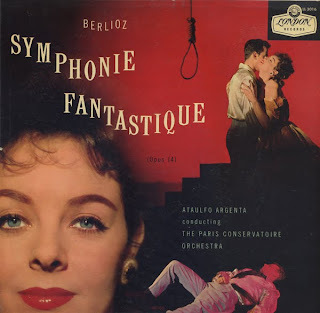 But it is the most pleasant exotica piece (in my opinion) on the LP. 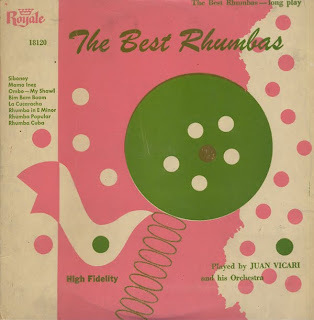 I can find no information on this oddball record. A total low budget whacked project. A "Talent Mart Production"? You've got to love the jacket. 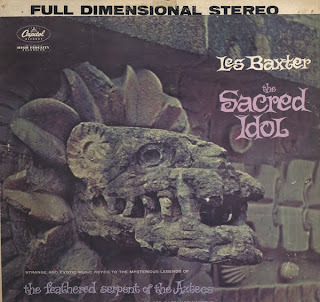 The music is uneven as a package, some live numbers, some cornball lounge and some cooking lounge tunes and a few songs that are just way out... Take for instance this guitar instrumental, Spanish Garden! These guys were rocking! They must have been a great live act!